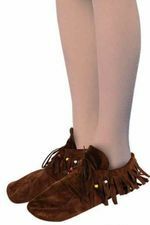 Available Sizes/Colors: Size "S (6-8)"
This child size Indian costume includes brown faux suede shirt, fringed pants, tabbard, arm bands and mohawk wig. Tomhawk sold separately. Great for Thanksgiving plays and historical costumes. 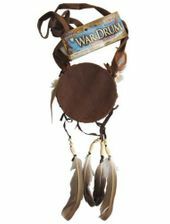 See more options in our Cowboys and Indians costumes department!